Books on watchmaking I have, in the absolute majority of occasions, seen as expensive props that people like to put on their walls to occasionally post on Instagram – never holding, let alone reading one, just a shot of the book shelf with all the thick, expensive-looking books on it, serving as a meretricious source of self-legitimization. However, in a long-forgotten era, books actually had a complex purpose: to educate and to entertain – and the best ones could do both at the same time. 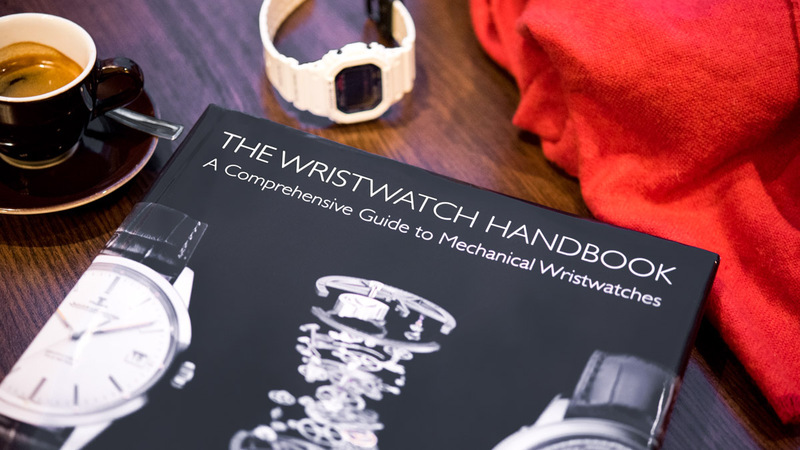 The Wristwatch Handbook by Ryan Schmidt, as I gather not just from its preface but by the way it’s written and constructed, was designed to accomplish this rather complicated mission. I will keep this review short for the simple reason that by the end of it, you’ll possibly wish to have spent this time reading that, and not this, so I’ll cut right to the chase and say: The Wristwatch Handbook is a great, near-comprehensive book on all the complications, features, functionalities and indications that are relevant in modern watchmaking. 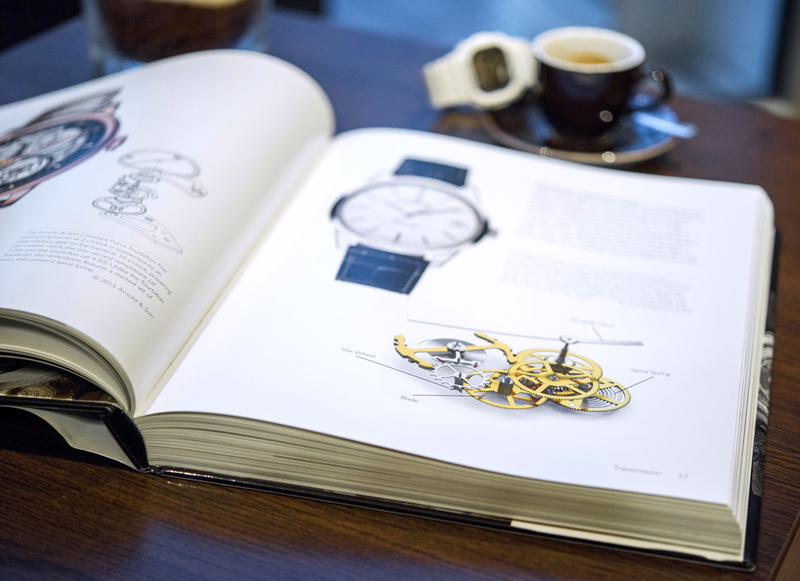 This depth, as well as the casual, non-condescending, informative, and light-hearted way in which it is written, makes it an ideal read for those who are just getting to know their watches, as well as those of us who by now only tingle at the sight of ruinously complex and rare complications. 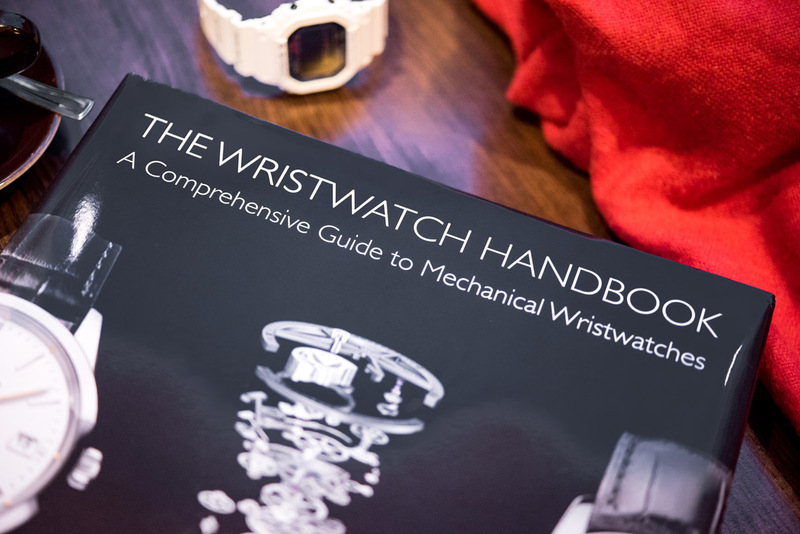 The first 100 or so pages cover the Basic Watch Mechanics, starting with an overview of a watch movement and working its way through a more detailed look at power, transmission, distribution and regulation, as well as alternative movements. Now, this can last 100 pages not because it burdens the reader with the most obscure details nobody but F.P. Journe and Philippe Dufour talk about on a secret hotline in the middle of the night, but because there are countless different, recently launched and, mind you, nicely illustrated watches from small and major brands alike, to serve as examples to the different solutions discussed in any segment. This holds true for the entire book and all its ~350 pages, not just the first section. 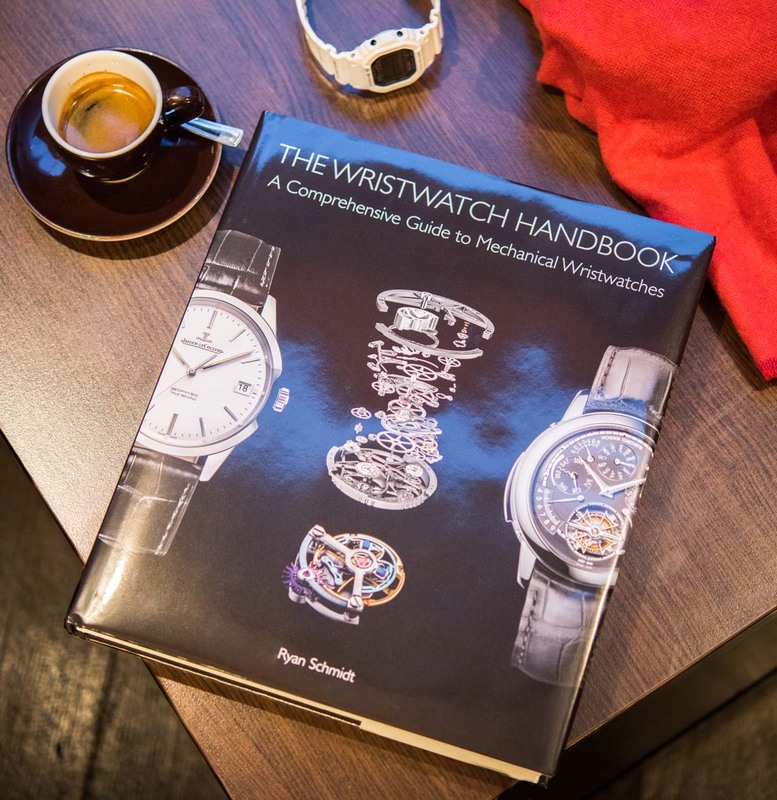 So, who is The Wristwatch Handbook for? I thought long and hard about this and I couldn’t convince myself against saying: pretty much everyone who likes watches. 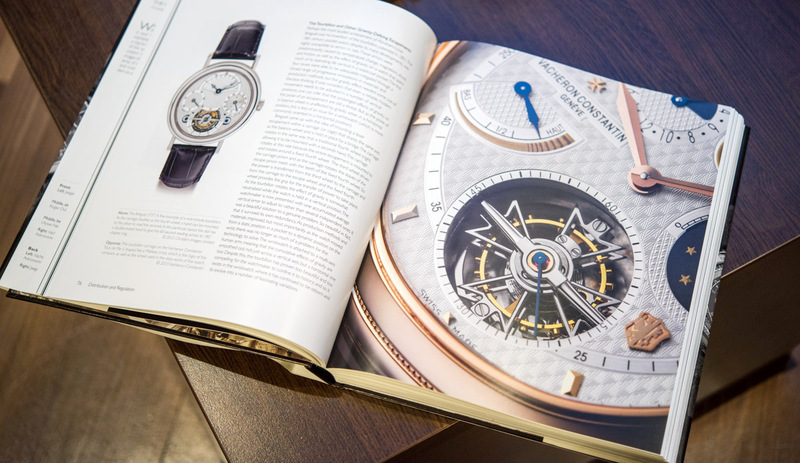 If you know your watches inside out, and I do mean, all about them, the book is still a great chance to read up on the super quirky stuff like some of the weirdest calendars, chronographs, tourbillons, resonance-based, or astronomical watches, that you have discovered before but are not making news anymore. 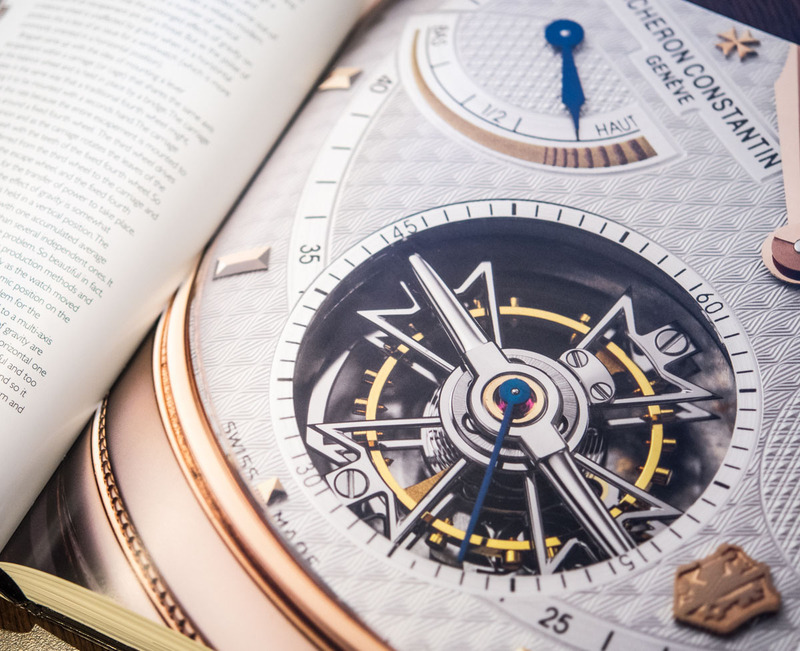 The book, thanks to its remarkably diverse selection of brands and models from big ones to the most obscure ones from recent memory, is your only chance to remind yourself of these quirky cool, albeit short-lived forays into horology. On the other hand, if you are a total newbie to watches, this book will save you some time in the sense that you won’t have to read hundreds upon hundreds of articles to pick up yet more little crumbles of new information – for here, at every turn of a page, you’ll learn new stuff about movements, complications, indications, and so on. Is there anything at all that I miss from the book? I did say near-comprehensive in the beginning and the only reason for that is that I do somewhat miss a chapter on movement decorations. Decorations are of course briefly highlighted many times in the book, but a quick guide to them I think would have made the book even more complete. Still, with this said, you can learn movement decoration basics in a really brief and efficient way online – while to gather the overview, as well as detailed explanation that is present here page after page, you’ll be hard pressed to find anywhere else. I’ve asked Ryan about this and he told me that when he first started the manuscript he had the intention of including “everything” – finishing, production techniques, design elements outside of the case such as bezels, crowns, lugs, straps, and bracelets… But once he got deep into writing, he extrapolated the word count and realized he had a, quote, “serious issue.” It is easy to understand – I find it unusually easy to sympathize with him – that when you set out on being comprehensive, you give it all from the first paragraph… And when it comes back and bites you weeks or months of work into it later, you either go back and remove stuff… Or you keep on going and decide what it is that you’ll omit now and pick up in your next volume. As such, Ryan told me he is addressing some of these omitted segments in his next book. 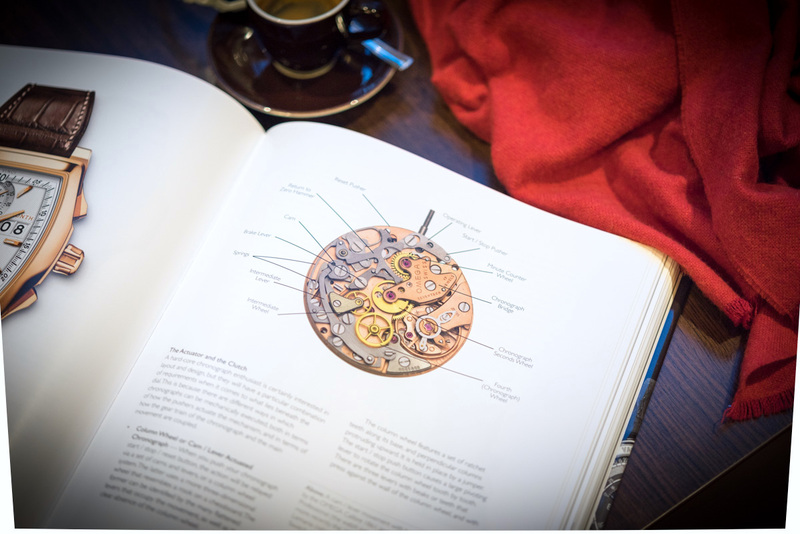 The first book on watchmaking that I ever purchased for myself was Watchmaking by George Daniels (reviewed here) – and, in hindsight, all I can say is that buying Watchmaking as a newbie watch lover is like reading a Stephen Hawking thesis when you’re just getting into physics. You won’t understand any of it and no matter how hard you try, you’ll probably not appreciate any more of the topic either.